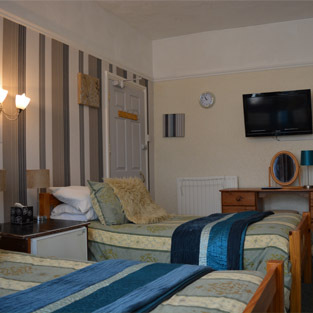 Located in Drummond Road, a short distance from Skegness town centre, we are ideally situated for all amenities. 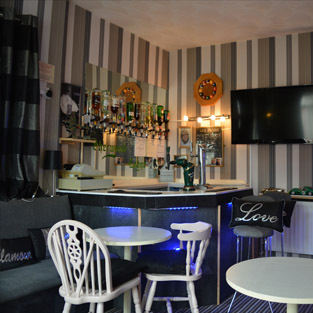 Sherwood Lodge is just a few paces from the southern promenade (South Parade), providing access to the southern bowling greens, Boating Lake, Skegness Pleasure Beach and the golden sandy beach of Skegness. Sherwood Lodge is open throughout the year, offering bed and breakfast ( b & b ) accommodation, or alternatively B and B plus optional evening meal. 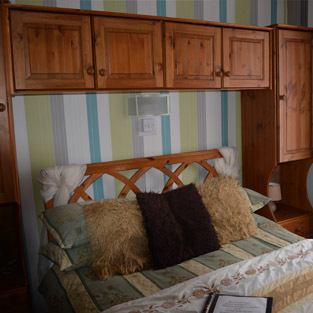 The accommodation comprises single, double and twin bedded bedrooms, comfortably furnished for holiday accommodation. All rooms are en-suite, with T.V., and a welcome tea and coffee tray on arrival. We have ample off-road free car parking for residents. Special winter breaks £25 per person per night B&B from end November till beginning of March. Our Christmas break is from the 24th Dec till 28th Dec 2019 at £295 per person this includes a trip to the pantomime and our Tinsel and Turkey is from 17th Nov to 20st Nov or for 3 nights for £160, If you book before end March for T&T a discount will be given of £10 per person Please book early for these as we do get very busy . This price includeds a trip to theatre on one evening and a entertainer singer.Only a few places left for Christmas fun had by all so please book as soon as possible. 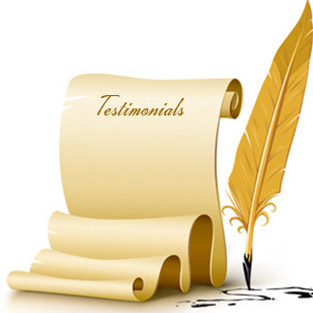 We take personal details relating to bookings.